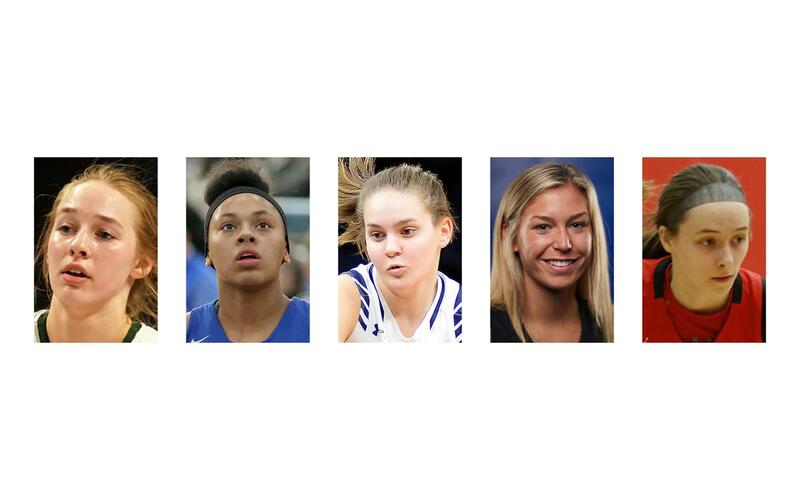 The five finalists for this year's Miss Minnesota Basketball Award were announced on March 17. Chosen by the Minnesota Girls Basketball Coaches Association, the honorees are: Kacie Borowicz of Roseau; Dlayla Chakolis of Hopkins; McKenna Hofschild of Prior Lake; Frannie Hottinger of Cretin-Derham Hall; and Stillwater's Sara Scalia. Four of the finalists reside in Class 4A, with two of them — Chakolis and Scalia — meeting in a state championship matchup won by Hopkins. Borowitz led the Rams to a third-place finish in the Class 2A tourney. Presented to the state's top senior player, the winner will be announced on Friday, April 12 at the association's All-Star banquet in Northfield.